#HomeFit4 is the 4th, and lastl 12 week plan in the #HomeFit 1 Year Programme. This plan is a 12 week body transformation training and nutrition plan, to help people stay fit, and get fitter, all from their own home. If you have completed #HomeFit1, 2 & 3 plans then complete your #CrockFit journey and take your fitness and physique to the next step! This plan will continue to push your past your comfort and force your body to get even more results in fitness, fat loss and muscle tone! When you get your #HomeFit4 plan you will also gain access to the plan in the #CrockFitApp when it launches. NEW TRAINING! 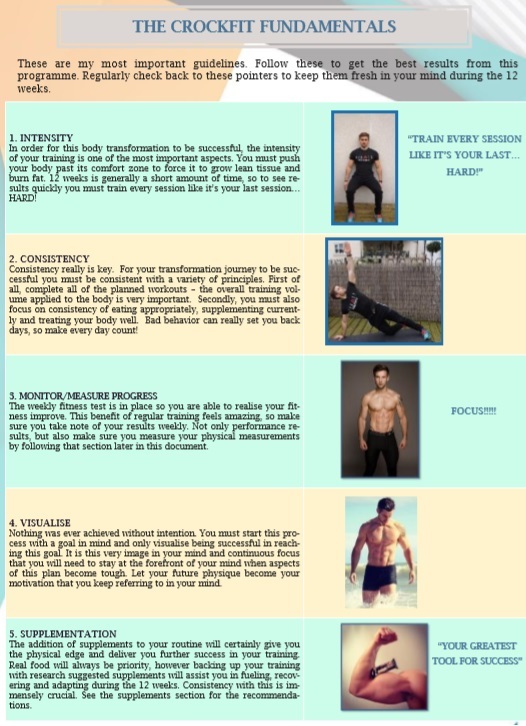 12 week (week 37-48) HOME training programme. Bodyweight and dumbbells. 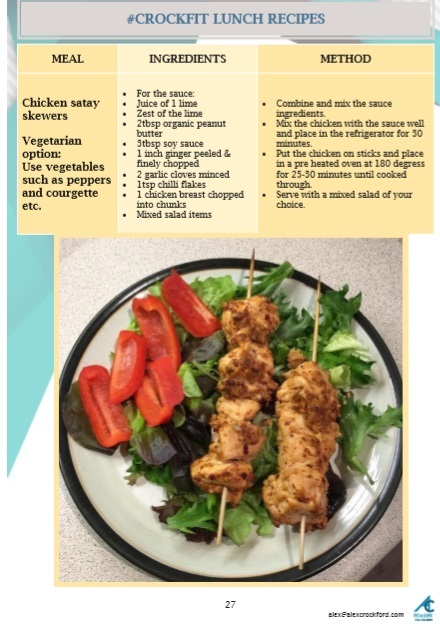 NEW RECIPES! Nutritional & Supplement guidance. Split in to 3 different cycles of 4 weeks each. Easy to understand picture & video exercise demonstration. When you enter your #HomeFit4 Members area you will find your #CrockFit documents. 30 minute home training sessions with bodyweight and dumbbells workouts, 5 times per week. Being a part of the #CrockFitCommunity and interacting with us on social media.